We had an action packed weekend that really only involved a few events. 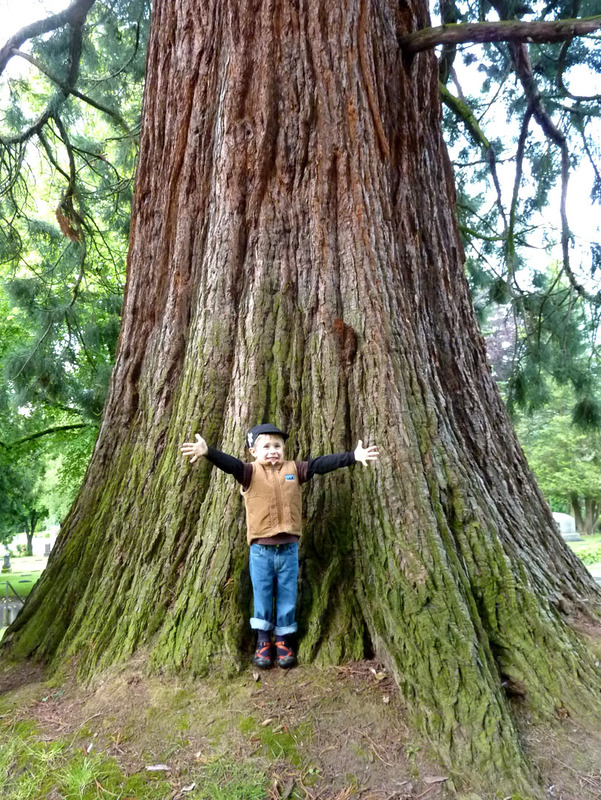 We traveled to Eugene Saturday morning for the Black Sheep Gathering. This was our second year. I didn’t see quite as many Jacob sheep, which are my favorite, this year. The Jacob lambs are the most adorable creatures. 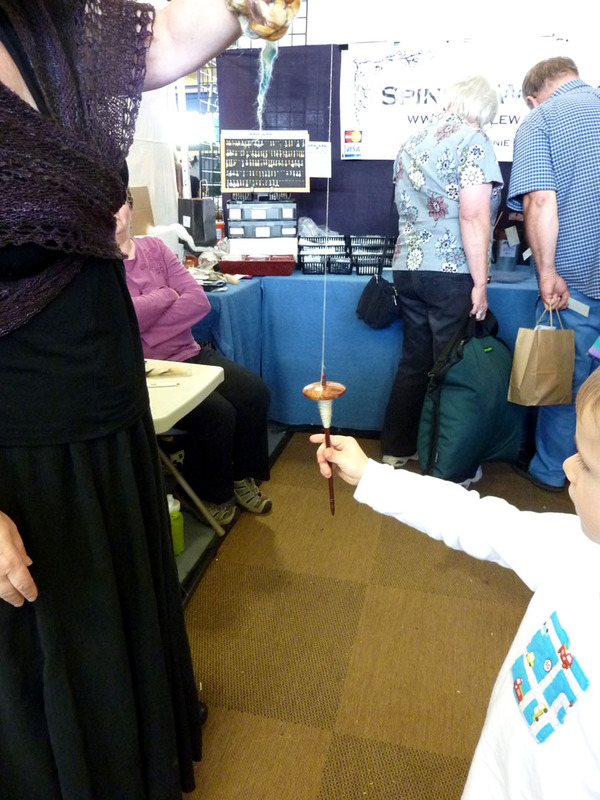 Henrik got to fuzz a few wooly sheep and he got to help spin a drop spindle at the Spindlewood booth. I took a drop spindle class at Northwest Wools just before the Black Sheep Gathering last year. It was a lot of fun. I have picked it up a few times since then, but I have been dreaming of a spinning wheel of my own for close to two decades. I will have to keep spinning my dreams on the drop spindle for a while longer. 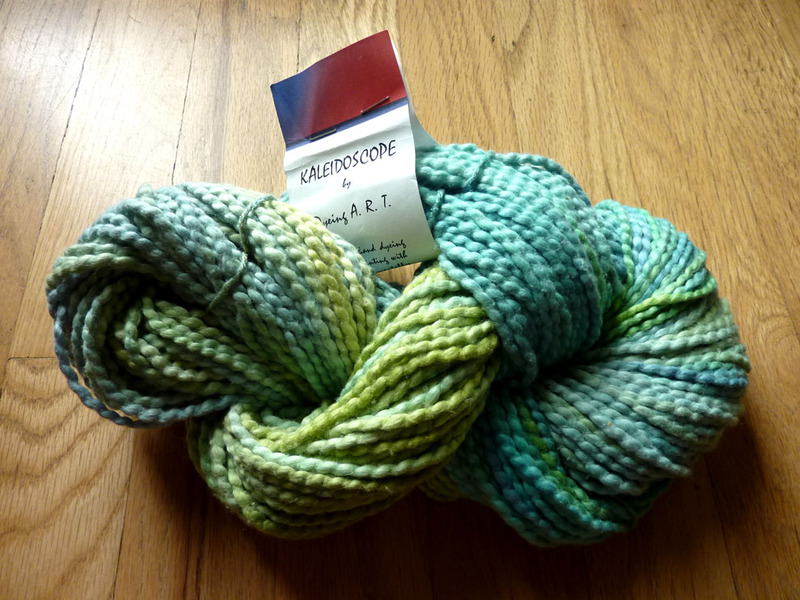 I bought one beautiful skein of cotton dyed with Earthues dyes from Dyeing ART. I have a couple small projects in mind…. We had planned on picking up some fresh bread for a picnic lunch. Rob sliced some cheese and put it in a cooler before we left. I was supposed to pack some yogurt, but I had just made the yogurt the night before and it hadn’t quite finished setting. I decided against packing the yogurt, but left the cooler in the kitchen. We went to the Eugene City Bakery and bought 3 loaves of bread. We ate part of a Como and a Grafton Village Cheddar with some cheese we picked up at Sundance Natural Foods. Both breads were good, but the Como was truly amazing. We received exemplary customer service at the bakery and that, in combination with the great products, makes us eagerly anticipate our next excuse to visit Eugene. 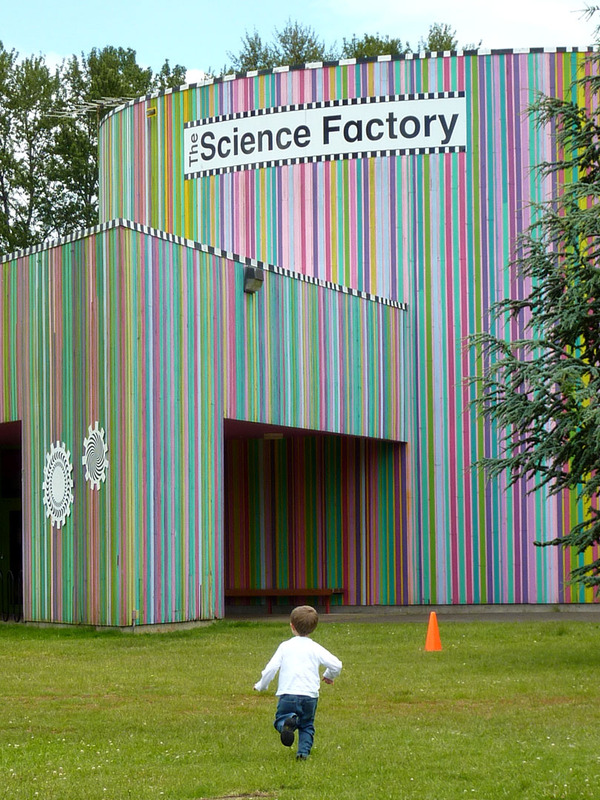 Regrettably, I had mentioned to Henrik that we were also going to go to The Science Factory science museum and the seed of curiosity had been planted. We cruised through the sheep pretty quickly and then Henrik was ready to move on to the museum. 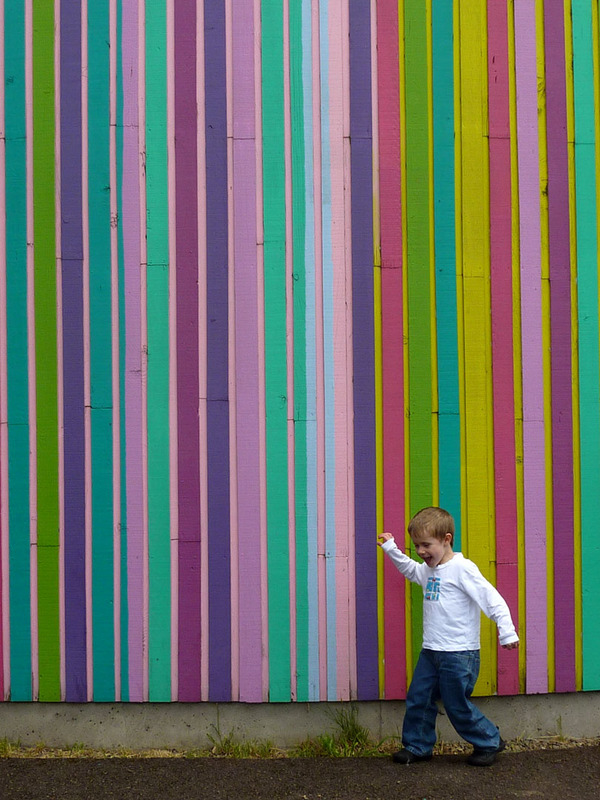 Henrik wishes that they would paint stripes on OMSI too. There was a birthday party happening while we were there. 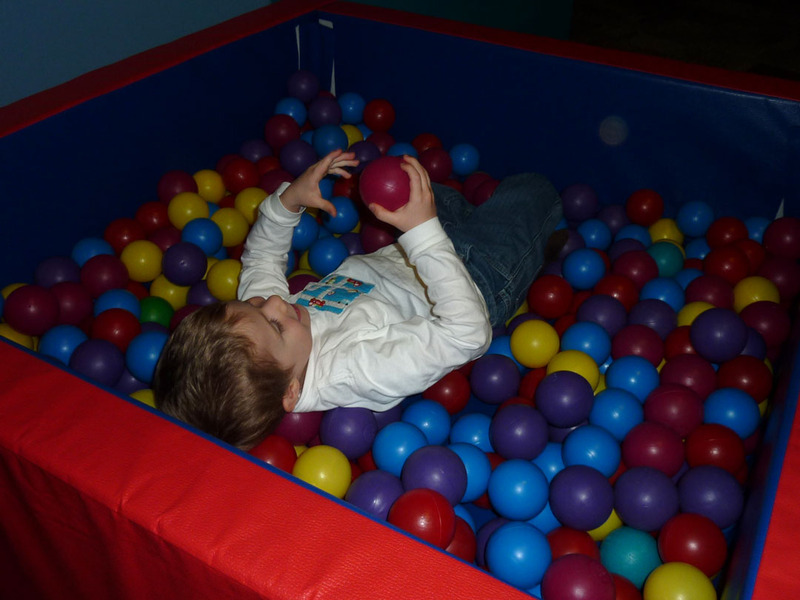 When they called all the kids into the birthday room, Henrik was the only child left in the museum. He made use of having all the exhibits to himself. The two hours back in the car was too much for Henrik. He isn’t a good car traveler and is wholeheartedly opposed to sleeping in the car. Henrik’s record for a car ride nap is 40 minutes. He has done it twice in his whole life. Yesterday he fussed himself to sleep for 35 minutes 45 minutes from home. 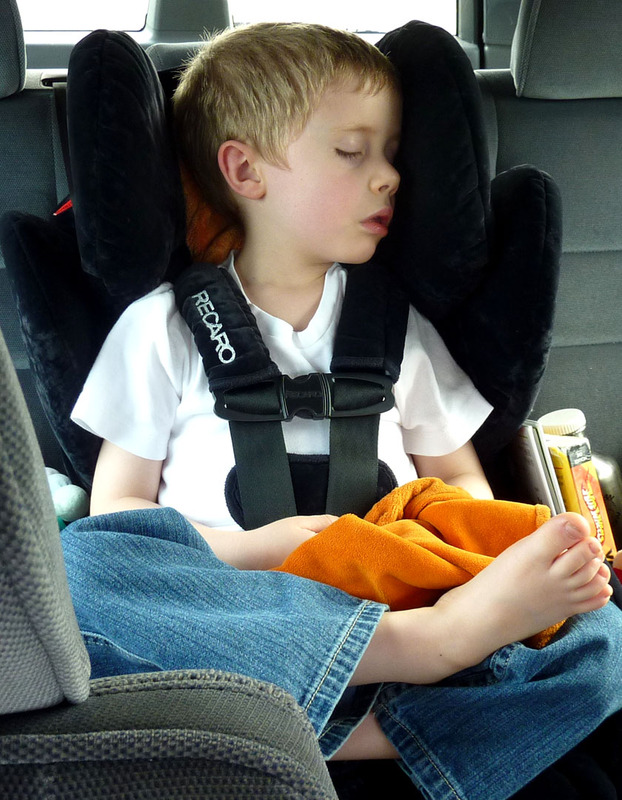 He woke up as soon as we got off the freeway and the car slowed down. He was in a good mood when he woke up and the brief nap only pushed back bedtime by about an hour. We used the rest of the Como and some leftover salmon from Friday night for sandwiches. I wish I had another loaf of the Como right now. It was so good. We also enjoyed a Lemon Bar, a Black Bottom Cupcake and a hefty slice of almond cake from the Eugene City Bakery for dessert. All were great, but the Almond Cake was my favorite. Henrik liked the Lemon Bar the best. 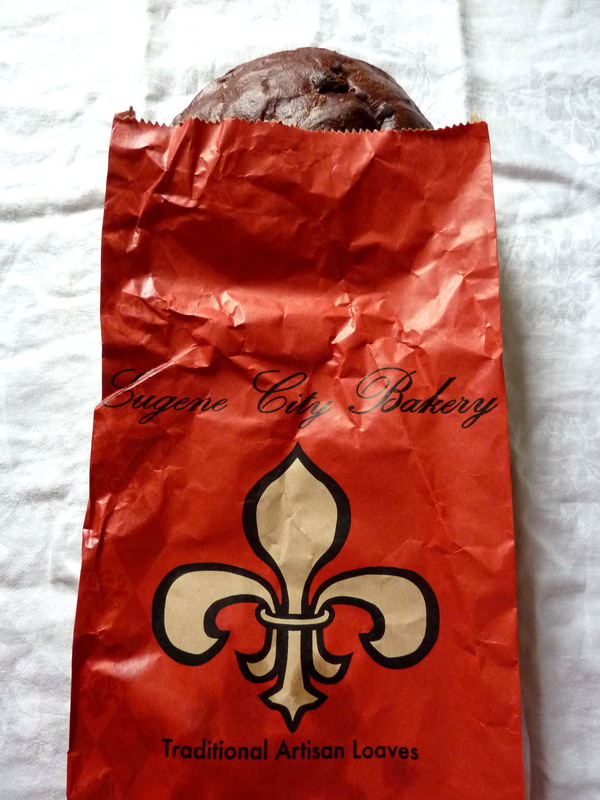 This morning we enjoyed the third loaf of bread we bought from the Eugene City Bakery. It was their Chocolate Cherry loaf. 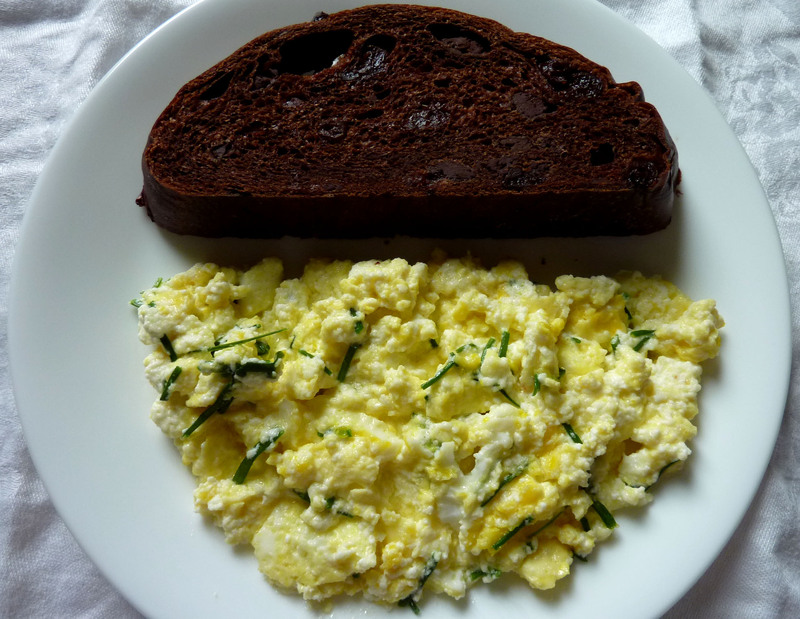 I made some scrambled eggs with fresh chives and ricotta. The bread was the perfect compliment. 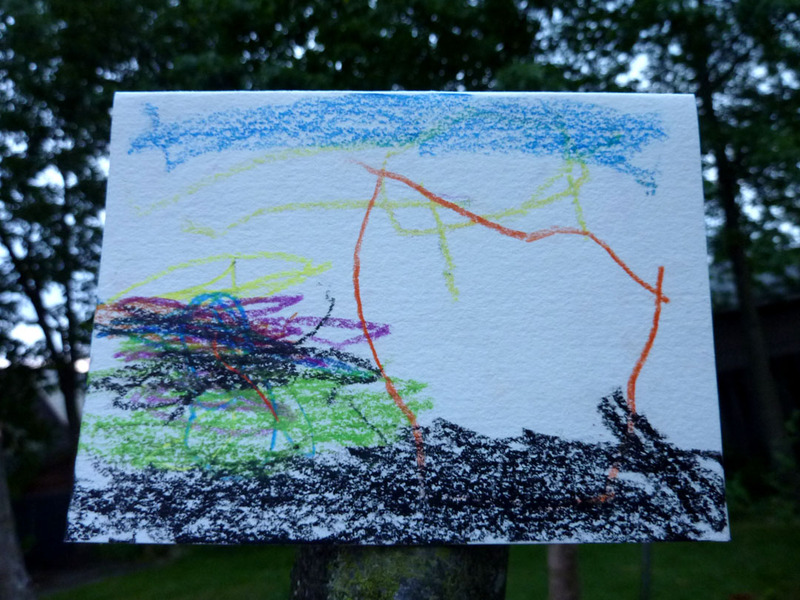 Henrik made a beautiful Father’s Day card for Rob with “our house, black dirt, our garden and flowers, the blue sky and the shining sun”. Rob loved it. We got out and walked around for about half an hour. It was so quiet and peaceful. Henrik righted 3 potted flower plants on headstones that had been tipped over by the mower. We read the names on many of the headstones. Henrik observed uniqueness of the stonework and all the variances in moss growth on the headstones. 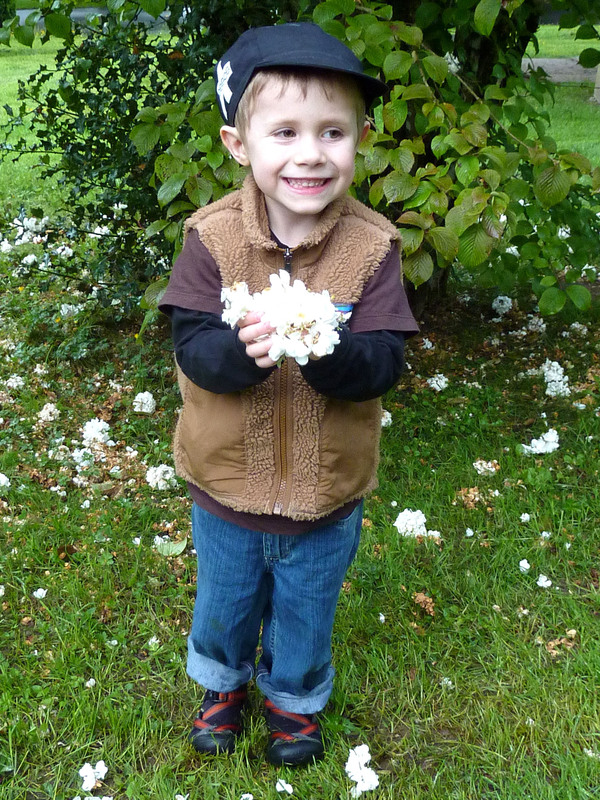 He collected flowers that had dropped from a bush and took in the beauty an old growth tree. I hope that our visit answered some questions and took some of the mystery out of cemeteries for Henrik. He did ask recently, “What was I doing before I was born?” I may be in store for a few more questions about life and what happens before birth and after death…. This entry was posted in Create, Enjoy, Family, Food, Knit, Learn, Wool. Bookmark the permalink. 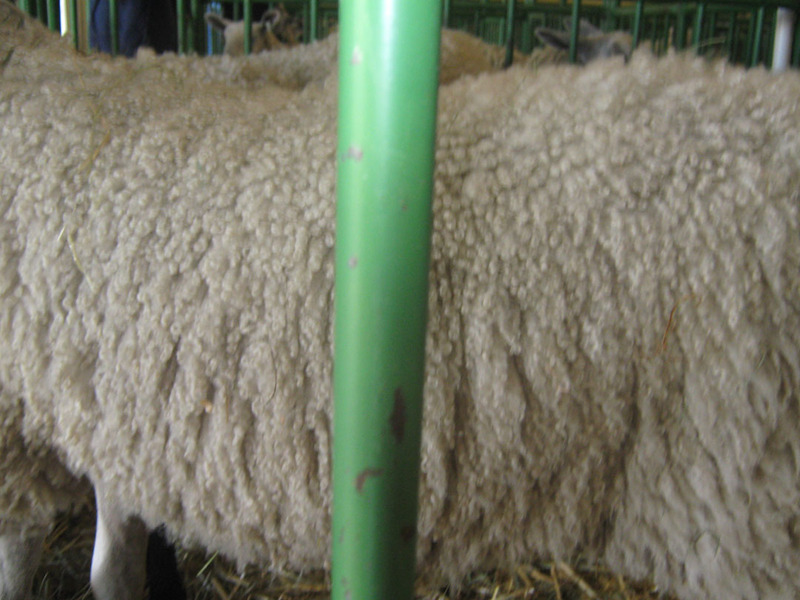 This entry was posted in Create, Enjoy, Family, Food, Knit, Learn, Uncategorized, Wool. Bookmark the permalink.